Technology has brought about huge changes in films, both in the way they’re made and in the way we watch them. 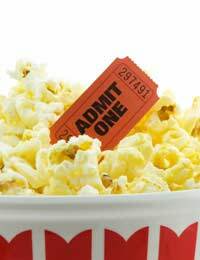 You may be old enough to recall when the only ways to see a movie were to either go to a cinema and pay your money or wait several years until it finally appeared on television – and even then you had to be in front of the screen when it aired in order to catch it. You may also be old enough to remember when all the special effects were created by hand, a mixture of props and imagination that all too often looked remarkably unconvincing. My, my, times have changed. Cinemas still do great business, in spite of high ticket prices (which are, in part at least, due to the large production costs of many films). Eagerly-anticipated blockbuster movies keep breaking box office records, taking in hundreds of millions globally. If you want to see a movie when it’s released, the only legal way is to go and see it in a cinema (of course, pirated copies are often already circulating online for download, or illegal DVD can be bought). But if you wait a few months, the same film will be out on DVD for purchase or rental or available to watch on premium satellite or cable TV channels, at a cost much lower than taking the whole family to a movie theatre. Another service, still in its infancy here but rapidly gaining traction in the US, is the idea that you can legally download movies to your computer, either as a rental (under which you’ll have 30 days to view the film, with 24 hours from the time you begin watching) or for purchase, just as you’d rent or buy a DVD – and usually available around the same time the DVD goes on sale. These are the viewing changes that technology has brought. Instead of being at the mercy of others, we’re gaining more and more control of when, and how, we can view films. As more services spring up letting us download films, and broadband speeds increase, making those hefty downloads faster, it might well signal the end of DVD rentals, and probably have a serious effect on the sales of physical DVDs – although we’ll need much larger hard drives in order to maintain a film library! Of course, it’s the studios that will be watching all this progress very closely. They already have massive campaigns against the pirating of films – pirated DVDs are a huge business in Asia, where the majority of DVDs sold are illegal – but ultimately they’ll support anything that makes them money. Then there are advances in DVDs and DVD players, specifically Blu-ray, the winner in the new technology. It can store more data than conventional DVDs and it’s perfect for high definition, offering the clearer, sharper image necessary for HD televisions. It might seem difficult now to recall films where the effects weren’t generated by computer generated imagery, or CGI, but the technology really only took off with Jurassic Park in 1993. It had been used before (the first film to use it was 1973’s Westworld), and CGI was used to a small extent in the first Star Wars film. But CGI had more to offer than spectacular effects, as Toy Story, the firm CGI animated feature showed, beginning a rash of studios springing up to make digital animation. But CGI is costly and time-consuming, sending film budgets sky-high. There was even a film that created realistic-looking actors using CGI (Final Fantasy: The Spirits Within, from the Final Fantasy video game). CGI has become the standard now for both effects and animation, in TV and well as films, creating scenes that are incredibly realistic. Of course, none of it would be possible without the massive increases in computer technology that allow for the manipulation and creation of images. However, we’ve really only dipped our toes in the waters. As technology continues to roll forward, CGI will grow better and better. If you think you can’t tell the difference between CGI and the real thing now, wait another decade until you’re downloading a CGI film onto your computer then sending it to your HD TV to watch.